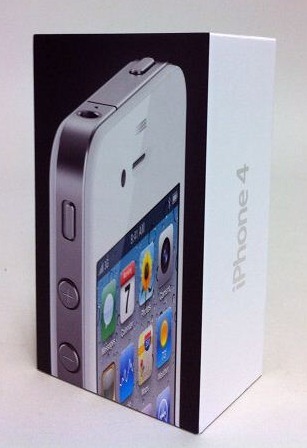 Apple announced on 23rd July that they would be delaying the white iPhone 4 and that it would be available later this year. 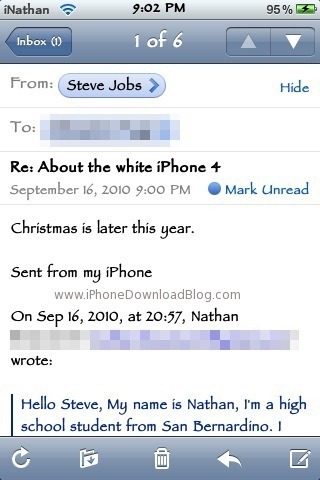 And with only three months left until 2010 comes to a close, Christmas would be the perfect time for Apple to release it. It’s hard to say just how authentic the email exchange is, but it makes sense. A whole lot of sense. Christmas is shopping season. And the white iPhone 4 does have a lot of demand..
MacStories perfectly worded my thoughts on the topic: “As usual with these unverified emails, we can’t completely trust the source. But it sounds very likely to me: a highly demanded model released by Christmas in the States? Cash”.